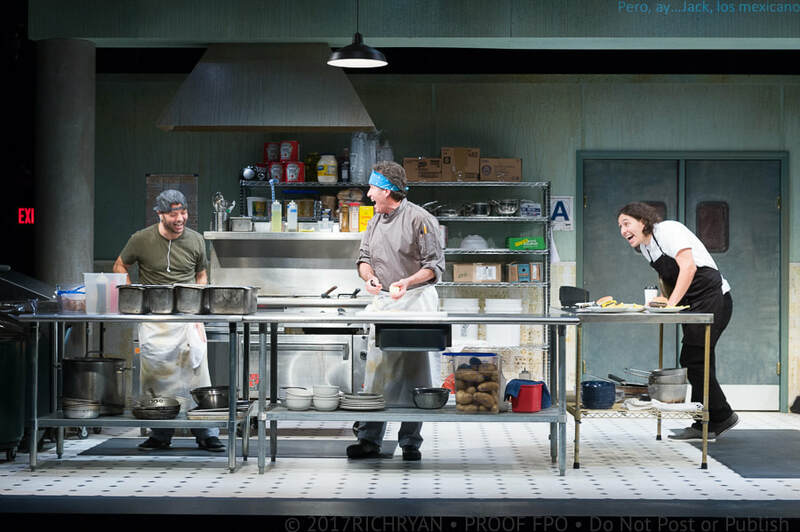 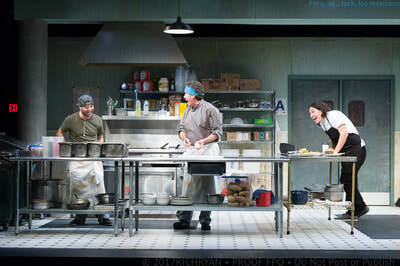 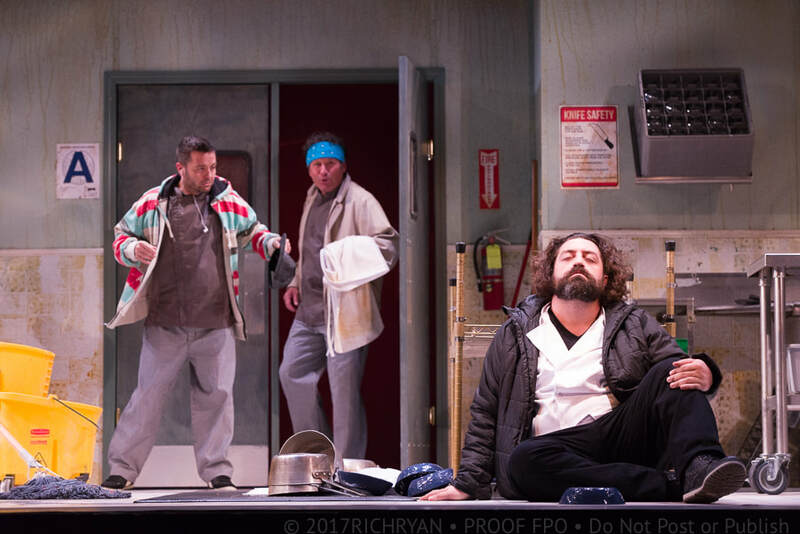 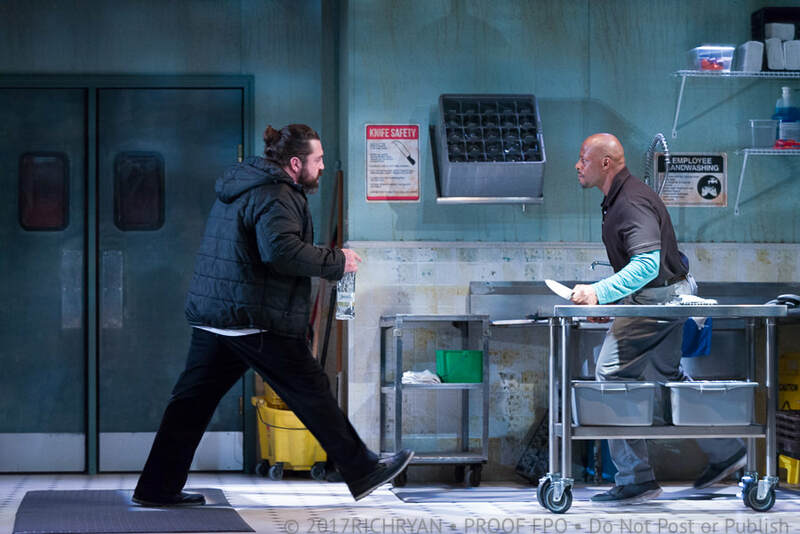 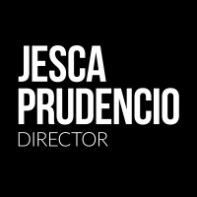 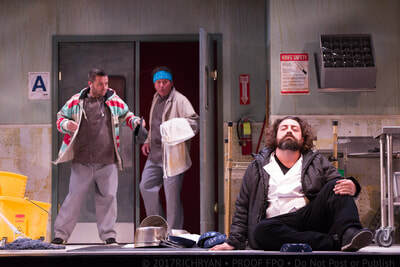 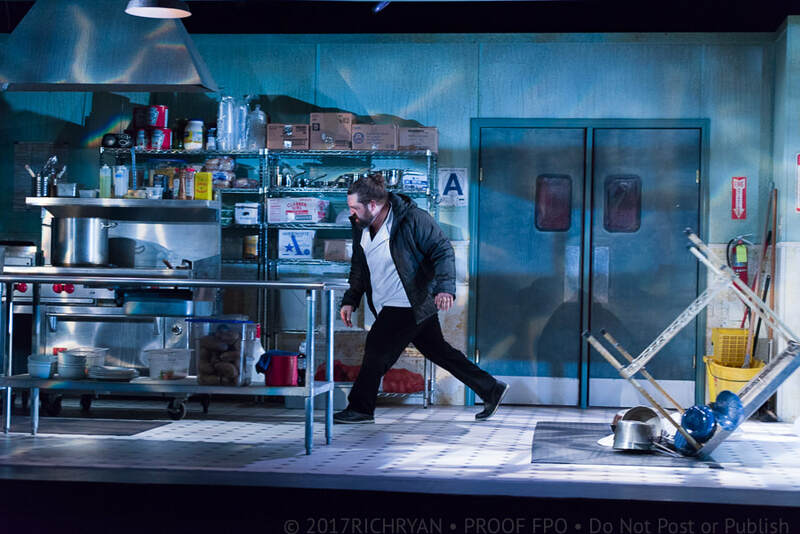 "How to Use a Knife, directed by Jesca Prudencio, deals with a collision of cultures in a restaurant kitchen after the appointment of a new chef, George, played brilliantly by Zach Myers. It concerns the interactions of Chef George and his jovial Guatemalan line cooks, quiet East African dishwasher and frustrated white American busboy. 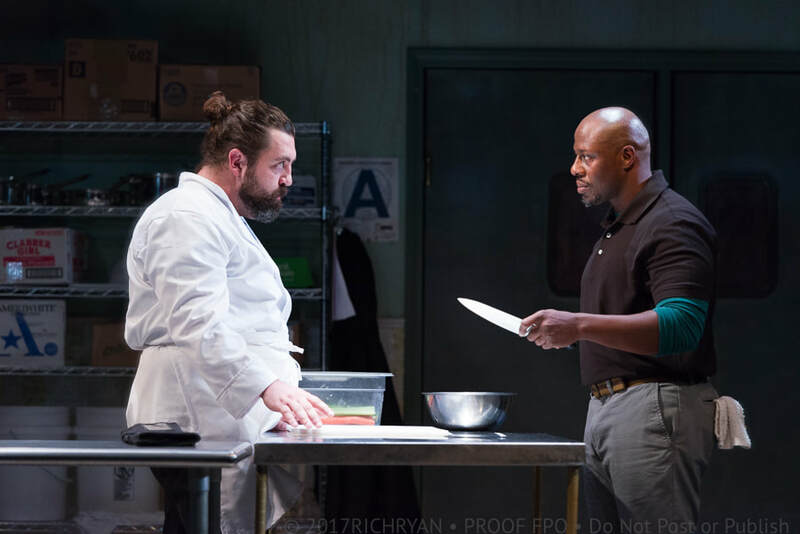 Tempers are lost, unsavory secrets are unearthed, friendships are formed and someone learns how to use a knife, all of which is framed by witty, expletive-laden banter. 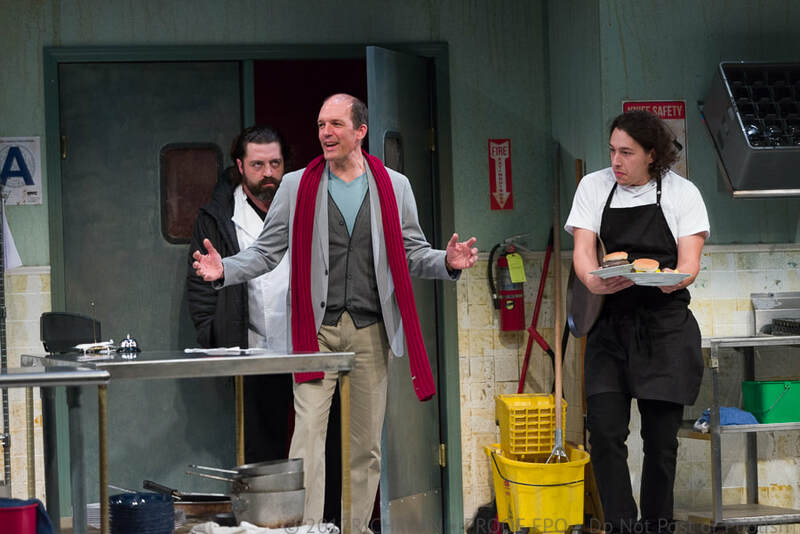 The play moves at a breakneck pace, running a full 90 minutes with no intermission. 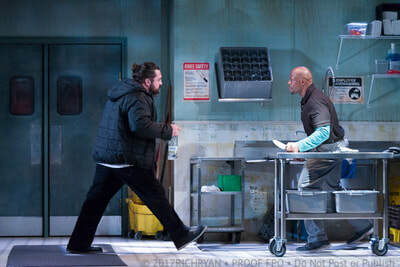 This speed is complemented by impressive sound design, which consists of up-tempo Jazz drumming – think Duke Ellington – as well as the frantic sounds of clinking plates and sizzling grills one would expect to hear in a busy restaurant kitchen. 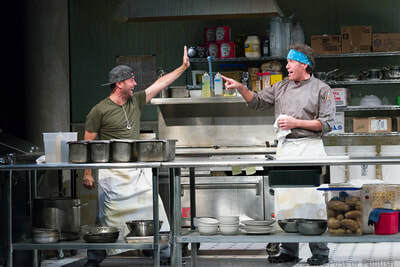 The music and on-stage sounds come together to create a truly immersive theatrical experience."